Greetings in our Incarnate Lord. 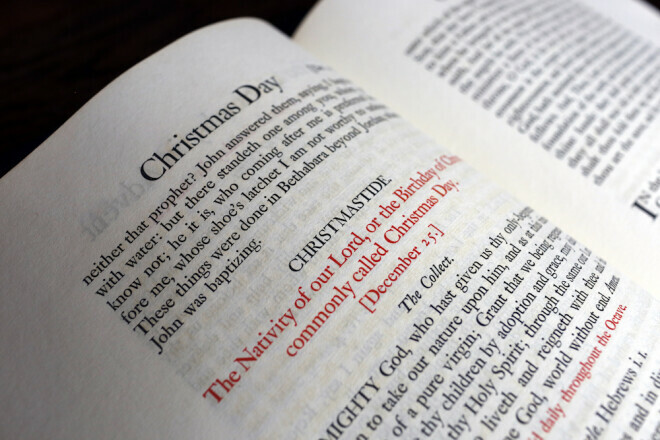 I want to convey to you greetings, and pray for the blessings of the feast of the nativity of our Lord Jesus Christ. To be alive is to be vulnerable, that is, subject to troubles and wounds, some peculiar to our circumstance, some universal to the children of Adam and Eve. Mostly we try to flee and mitigate our vulnerable state. Mostly we imagine God to be immune from this. But the event of the incarnation is God utterly exposing Himself to this same state. We are thereby shocked - He is not whom we supposed, and consoled - we are not alone here, nor is our condition the final word. Of course as the Son agrees to enter our world, it was His all along. Our tradition speaks of felix culpa, the strange idea of a ‘happy fault,’ only insofar as it occasioned our forgiveness, so we might speak of a felix vulnus, a ‘happy woundedness’ which our Lord shares with us. in this season let us keep in prayer those most vulnerable around us, our kinfolk in the human condition.